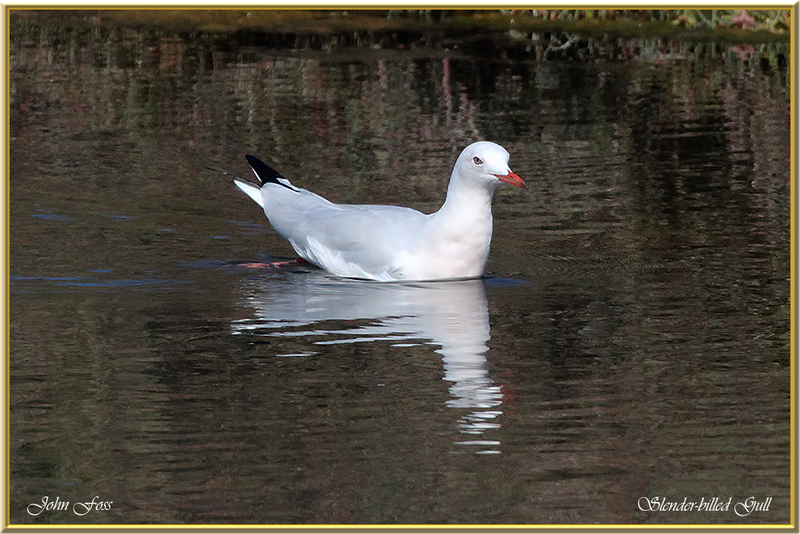 Slender-billed Gull - a medium-small size gull. The head stays white through the year. The bill is mid-red in the winter as seen here and turns darker during the summer. 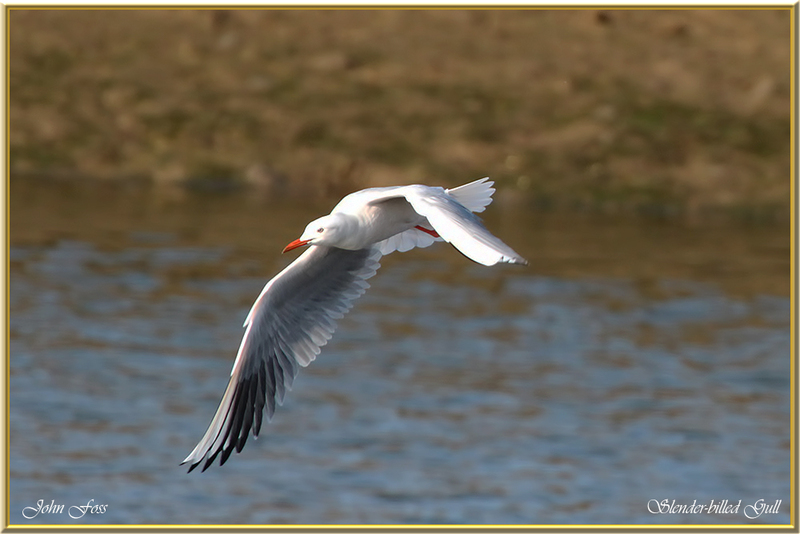 It flies a few metres above the surface of the water and dives into the water when it sees suitable prey. 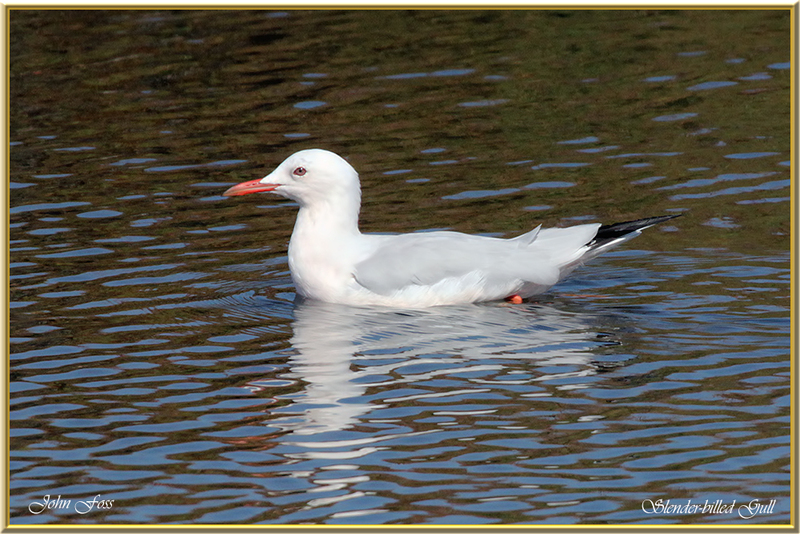 It is an uncommon wintering gull in Portugal. 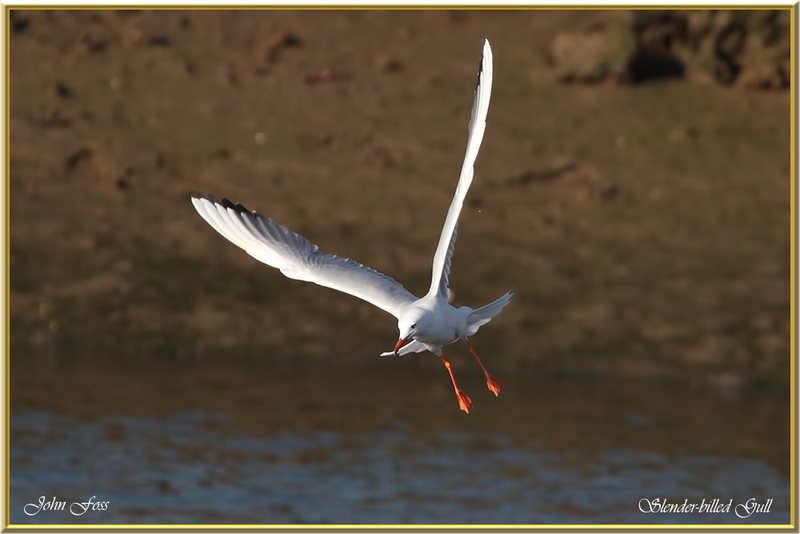 I took these photographs in the Algarve at the four Aquas Tavira during October.